If you look for ways to learn AutoCAD I can recommend the SOURCECAD site. There are some helpful free tutorials and blog posts there as well as several inexpensive AutoCAD Video Courses. Try before you buy it by looking at one or more of the previews available like the one on Making Isometric drawing. DWG Columns for Explorer 4.0 is now available and can now show up to 30 custom properties. 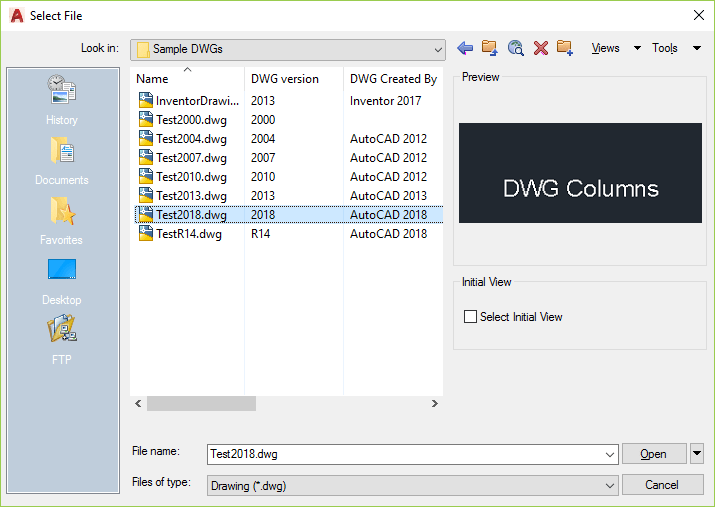 Enhance your experience with DWG Columns for Windows Explorer / File Explorer by showing the DWG and DXF properties and metadata in Explorer columns. Even in file dialog boxes within AutoCAD or other applications like BricsCAD. 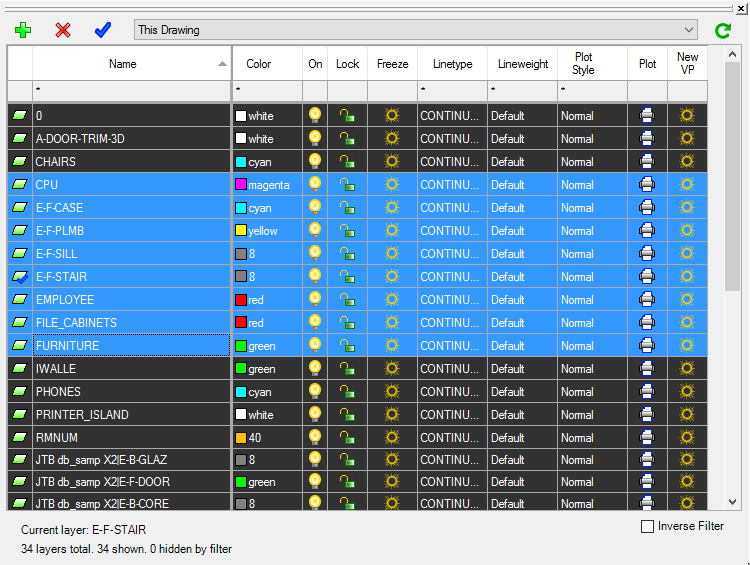 DWG Columns for Explorer is available as a trial as well as in a freeware version with limited functionality. If you try to use the EXPLODE command you end up seeing “was not able to be exploded” message. But with Express Tools comes TXTEXP that can be used. It’s been around in AutoCAD for years and is now available in BricsCAD and as you can see BricsCAD has made it work even better. Note the internal lines within the outline in the first image below and how they are missing in the bottom image. Exploding TEXT in AutoCAD and you learn the trick to mirror before using the WMFOUT and WMFIN commands if you want to do it manually. BricsCAD V18.2 introduces BLADE, the BricsCAD LISP Advanced Development Environment. The BLADE command opens the advanced environment for editing and debugging LISP applications. AutoCAD’s VLIDE (Visual LISP IDE) has not been updated for a long time and has bugs like these that’s been around since at least AutoCAD 2008 and will probably never be fixed. With this update I will do more development of AutoLISP within BricsCAD even when the code also will be used in AutoCAD. I’m pretty sure that BLADE will be improved upon in coming years as well. I want a keyboard shortcut for the command “Load Selection in BricsCAD”. I’m sure it will be there very soon. UPDATE: “My to-do list still has a number of major key features to be implemented. We want to add a hotkey editor, because every developer loves his own keystrokes and learning others is a nightmare!“ read this interview by Steve Johnson @ CAD NAUSEAM with the creator of BLADE, Torsten Moses. The whole interview is also on the Bricsys blog. AutoCAD has no Bind option available to bind raster images to a drawing. 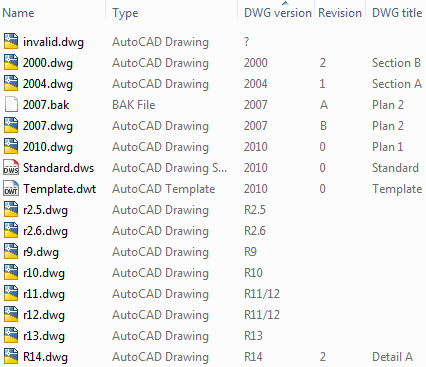 In Revit when exporting to DWG all images are attached to the exported drawing as external references. This may be a problem with logotypes in the title block or other images. In some projects you need to deliver your drawings without external references. JTB Raster2OLE app for AutoCAD can help by binding all images in the current drawing or in multiple selected drawings. Free trial available. JTB Text Bubble Plus has been updated to support BricsCAD V18. The app also works with AutoCAD and GstarCAD. With the app you can insert text bubbles to lines, curves, or draw leaders with it, or quickly make a schedule from text bubbles and/or other blocks. Incrementing of numbers or letters is done automatically. More about JTB Text Bubble Plus here. For more of JTB World’s software that you might find useful visit our software list. We also offer custom programming services and can help you with both small and large projects. Subscribe to our JTB Text Bubble newsletter or any of our other Newsletters. JTB Align Plus has been updated to support BricsCAD V18. This app also works in AutoCAD and GstarCAD. This app helps to align text and blocks to lines and curves. Check out all productivity features this app has at JTB Align Plus, a trial is available so you can give it a try. Text will be aligned and placed at an the same offset distance as text in current dimension style. Block will be aligned and fit tangentially to curve. You can press TAB key or type F to flip aligned object(s) to either sides; Type O to move object(s) to specified offset distance; Type R to rotate object(s); Right click on line or curve to move object(s) rather than copy; Type U to undo previous action. More interesting, if you pick on text or block, or on empty space, Match Text Content or Match Block command will run, help you easily manage your drawing's tags and symbol blocks. Quickly line up texts and block's insertion points. More about JTB Align Plus here. For more of JTB World’s software that you might find useful visit our software list. We also offer custom programming services and can help you with both small and large projects. Subscribe to our JTB Align Plus newsletter or any of our other Newsletters. JTB Layout Palette has been updated for BricsCAD V18. The app is also working for AutoCAD. With this app you can manage drawings with many layouts easier in a palette. One thing in JTB Layout Palette is I make Edit Mode and non-Edit Mode. Only in Edit mode you can rename, select multiple layouts. In non-edit mode, clicking on a layout item mean make it current layout. This is a bit nuisance somehow. But at that time I might have some reasons, like I want single click instead of double click to activate layout. But while editing, user has to go up and down a lot and I don't want layout switching too many. etc. Free trial version available that works for 30 days. More about JTB Layout Palette here. For more of JTB World’s software that you might find useful visit our software list. We also offer custom programming services and can help you with both small and large projects. Subscribe to our JTB Layout Palette newsletter or any of our other Newsletters. JTB Layer Palette 2.0 comes with support for BricsCAD V18. JTB Layer Palette is a palette app for BricsCAD. You can manage layers in BricsCAD without leaving the drawing screen. Customizable view, multiple layers tasking, this will make managing layers much more easier. JTB Sort Table has been updated to support BricsCAD V18. This app allows you to sort data in AutoCAD or BricsCAD tables. Sort ascending or descending in selected columns. Just as easy as in Excel, you select the table or cells (in AutoCAD), run the SORTTABLE command or start it from the Add-ins or Plug-ins ribbon tab in AutoCAD or the JTB Sort Table ribbon tab or toolbar in BricsCAD, then select columns to sort them. More about JTB Sort Table here. For more of JTB World’s software that you might find useful visit our software list. We also offer custom programming services and can help you with both small and large projects. Subscribe to our JTB Sort Table newsletter or any of our other Newsletters. 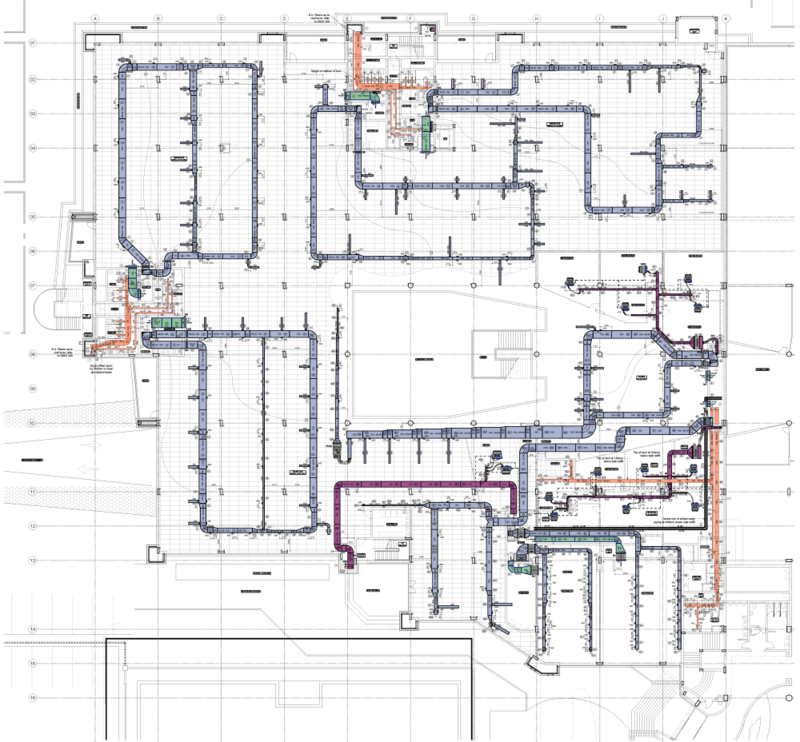 HVACPAC is an AutoCAD app for HVAC and Piping design work in 2D and 3D and is now also supporting AutoCAD 2018. HVACPAC includes all In-line duct fittings and equipment, air terminals and HVAC associated pipe work. Free 30 day trial available at HVACPAC.